our core vision is to create experiences that matter in delivering homeownership. As a company, we embrace the concept of ownership with enthusiasm and optimism for the future of housing in America. As individuals, every employee at American Pacific Mortgage takes personal ownership in creating experiences that matter for our customers and clients. Every transaction represents a family, a home, and a life decision - we understand and appreciate that our participation is a privilege and our job is to delight everyone involved at every point of the process so that their experience matters. Our vision is to set the industry standard for delivering home ownership in America. We want to create an experience that matters. We have multiple branches throughout the US and over 1,000 loan advisors who have one goal in mind - to serve the home finance needs of individuals, families and communities where we live and work. American Pacific Mortgage has a proven track record of getting results. With turnaround times in as little as two weeks and customized loan products to fit almost every need, we have helped countless homeowners obtain the mortgage financing they need for their homes. Our top priority is to help you make an informed decision by presenting all available options. Whether you are buying your first home, a new investment property, or building the home of your dreams, American Pacific Mortgage will empower you with confidence, knowledge and solid expertise from loan application through closing. It's your mortgage; it should be powered by you. 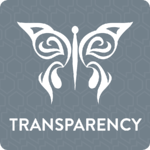 We Are Transparent. At American Pacific Mortgage, we always provide straight talk and responsible communication. We will get directly to the heart of the issue, and communicate clearly, completely, and relevantly. We believe in delivering information that you need to know when you need to know it, and are willing to have the difficult conversations if needed. We endeavor always to share information and earn your trust. 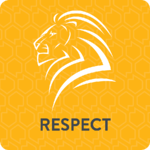 We Are Respectful. We understand that what we do matters. We serve our customers with our full attention, intention, and purpose at all times, and above all we do the right thing. Sensitive matters will always be treated with sensitivity, and we will always exercise good judgment to make the honorable choice. Your time, your business, and your dream of homeownership is important to us. 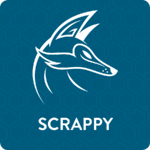 We Are Scrappy. To us, Scrappy as a core value reflects our strength of character in that we are determined, resourceful, and relentless in our approach to serve our customers. We have a solid strength of character and are willing to fight for what is right. We are proactive in seeking solutions. We are tenacious and will not quit. We will do what it takes to make sure we get loans funded.